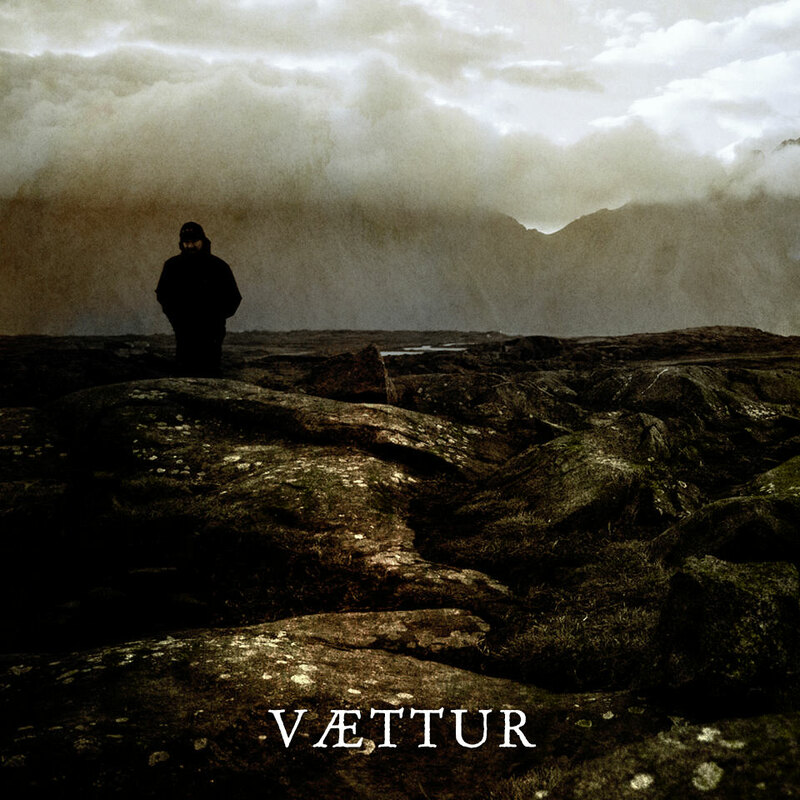 The synth project Vættur was conceived in 2016 by J.S., otherwise primarily known for his involvement in the paga n black metal outfit Theudho and the neo-folk / martial industrial project Weihan. Although originally intended to stay true to the formal dungeon synth blueprint, the compositions of Vættur were gradually enriched with lavish piano parts as well as clean vocals during the writing and recording sessions, resulting in layered arrangements that have one foot firmly on familiar soil and another in new and fresh territories. The debut album Einbúinn is in its entirety inspired by Icelandic nature and folklore. The compositions mirror the dramatic landscapes of the volcanic island; shifting from dim and bleak to majestic and imposing. An early digital only version of Einbúinn was released on Bandcamp early January 2017. Both the CD and cassette editions of Einbúinn, released on Dark Age Productions, contain the exclusive and particularly extensive bonus track Sólhvörf.